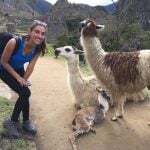 Volunteer Peru: Very quick to respond to all of my emails. I had many questions, trip modifications, insurance changes, etc, and they handled it all very quickly and professionally. 1.- Whats was a daily schedule at the program, hours volunteered? My experience was a bit unique in that I was able to have two very different volunteer opportunities. In the mornings, I worked at the hospital dental clinic from 8:30-12:30. 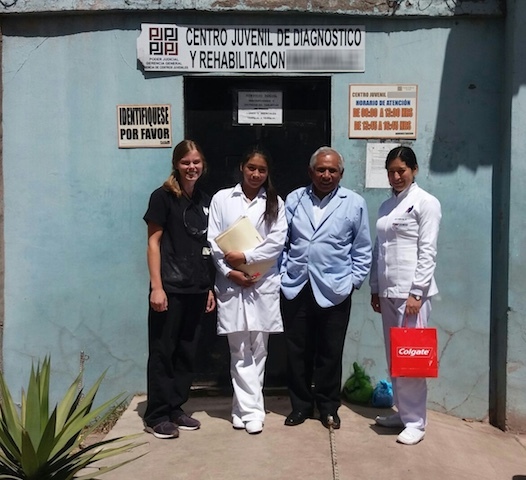 Here we did a lot of basic treatments and emergency treatments for lower income citizens of Peru (including extractions, restorations, and exams.) In the afternoons, from 3:00-6:00, I volunteered with a local dentist at his private office. Here I saw a large range of patients, from lower to middle class. 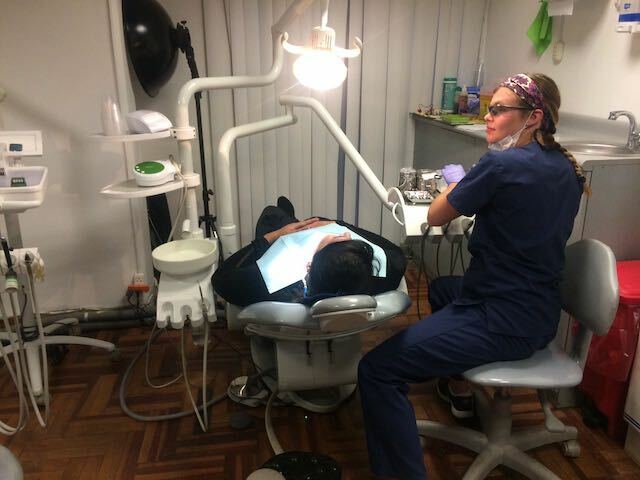 This office was fully equipped and I saw a lot of endodontics, prosthodontics, orthodontics, and preventative care. 2.- What was the most surprising thing you experienced? Host Family: Maria Elena was incredibly welcoming and accommodating from the moment she picked me up. So much that she told me every single day she was happy because I was happy. Program: There are so many volunteers! In the short time that I’ve been here, one volunteer returned home, and 5 more arrived. I have loved getting to know the other volunteers, it’s such a joy to share stories. Country: I was honestly surprised at how things are similar to the USA. I think I expected things to be more different. I also have been pleasantly surprised at how incredible the people are. I have felt more welcome here than in many US cities. As far as the dentistry, I was incredibly surprised at how popular it is. There are dentists everywhere! 3.- What was the most challenging thing you experienced? Host Family: Nothing. The food was amazing, shower was warm, and felt like I really did have family here. 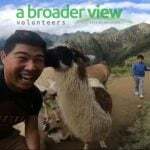 Volunteer Program: There was a strike going on during my time in Cusco, meaning some of the volunteer locations did not have much work. I was grateful to get permission to work in the clinic even though many of the medical doctors were on strike. Some days were slow at the clinic, so I wasn’t always sure I was needed in the clinic. Country: Language. Many people do not speak English. Both work settings were 100% Spanish. I came seeking out an immersion-type environment. Nonetheless, it was challenging and quite exhausting some days. Practice your Spanish, a lot. 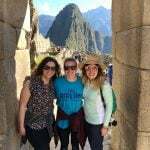 Volunteering in a place like Cusco is not about getting volunteer hours in or making ourselves feel good. It’s about helping those that need help the most. For those volunteering in healthcare, you need to be able to understand their pains, concerns, and questions. The hospital is also in great need of equipment. Gloves, masks, sterilization bags, hand sanitizer, disinfection systems, etc. Make sure to bring your own scrubs, clinic jacket, and safety glasses. If you are coming during July-September, it’s winter! Nights and mornings are quite chilly, but the sun is very warm during the day, so be sure to bring layers. Host Family: Don’t be worried. Maria Elena is amazing if you get the pleasure of staying with her. She is 1 of 2 local ABV coordinators. However, I had the opportunity to meet another host family and they were equally as amazing. No matter who you are with, you will leave with a second family. Volunteer Program: Keep an open mind. Realize you may not make any tangible changes. It is much more likely that the experience will change you. Country: Do a bit of research. Know what kind of a country you’re coming to. 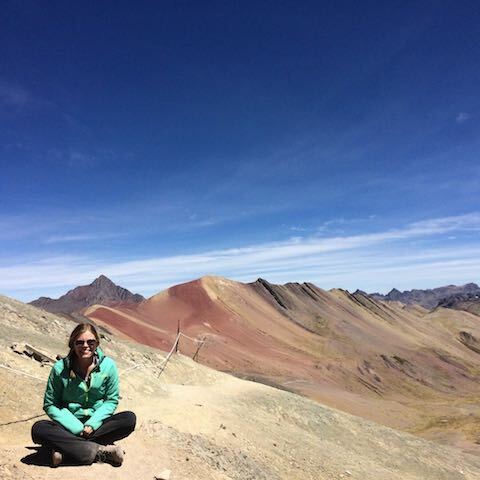 I expected things in Peru to be much less developed, and I was quite surprised. Things are definitely different. But to me, the simplicity of Peru is quite beautiful. 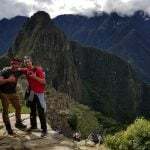 I came to Peru not having many expectations other than to put myself in a new situation, explore a new part of the world, and improve my Spanish. Although I didn’t think I came with many expectations, ABV somehow managed to exceed them all. 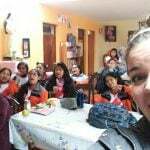 I was unsure of my opinions towards international volunteering, but I wanted a firsthand experience to regally be able to take a stance. All in all, volunteering is a good thing. In some cases, yes, people need supplies or equipment more than helping hands. But A Broader View does a good job of reassuring volunteers that they are unlikely to make any tangible changes. It encourages us volunteers to keep an open mind, and to let the experience change us, rather than expect ourselves to change the world. I think this is important. I feel like I truly am leaving this experience with a broader view of the world. And I plan to embrace this change and use it to influence my future career in dentistry in the best ways possible. Meals: So good. Lots of soup. Great home-cooked food. Security: City is quite safe. Always lots of people around. I was giving keys to the house, and a separate key for my room. friendliness: everyone here is incredibly friendly. 8.- Whats was a daily schedule at the program, hours volunteered, activities you did? Accommodation: My surprise goodbye lunch, complete with fancy plates, a flower, special drinks, authentic Peruvian cuisine, and dessert. Volunteer Program: Getting to experience so much dentistry and getting to meet and talk with the other volunteers. Country: I came a week early to do The Quarry Trek. It was such an incredible experience to be up in the mountains and villages, and to learn so much of the history of this region. Very quick to respond to all of my emails. I had many questions, trip modifications, insurance changes, etc, and they handled it all very quickly and professionally. 11.- What do you think about the reservation system online? Very well organized. I appreciated all of the reminders. 12.- Who did you find Abroaderview website? 13.- Are you willing to speak to other potential ABV volunteers?